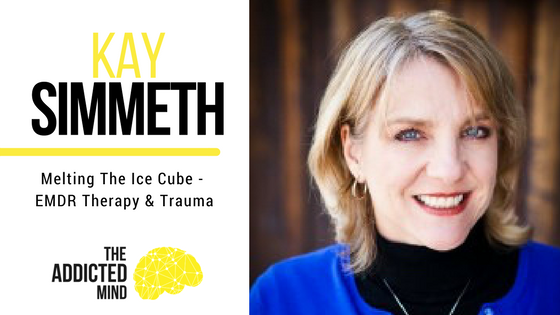 On this episode of The Addicted Mind podcast, my guest is Kay Simmeth, a Marriage and Family Therapist certified in EMDR. Eye movement desensitization and reprocessing is a type of bilateral stimulation that activates both sides of the body and both sides of the brain. This dual action process of tapping on the client’s knees back and forth, listening to music or sounds that alternate between headphones, or feeling vibrations in alternating hands, the frontal cortex and the amygdala are both activated, which allows the client to access the portion of the brain where the trauma is stored and then shift those negative beliefs or cognitions to positive beliefs. 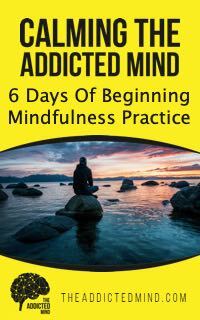 Without being able to access both sides of the brain simultaneously, the client will just continue to feel the negative beliefs related to the trauma and not be able to go any further by consciously and logically thinking about the situation. Doing so through the 8-phase process of EMDR allows the client to “melt” the trauma so that they can still access the memory of the trauma, but the intensity of their emotions and reactions about the trauma become less immediate and significant. The trauma simply becomes an “event” in their lives rather than something that impacts everything they experience. Going through EMDR takes the emotional weight out of the memory in the present and frees the client up for a brighter future. Kay uses EMDR with 98% of her patients and she has found that the changes her clients exhibit stick more than with other techniques. Through this type of adaptive information processing model, the length of time or number of sessions that the client needs to go through EMDR depends on the proximity, length, and depth of the trauma in their life, but all clients will see change along the way. Kay’s advice to those experiencing trauma is to remember that they do not have to go through it alone and that there are plenty of resources for them to seek help. Just a quick note for our listeners. We wanted to make clear that the “The Ice Cube Metaphor” originated and is adapted from Roy Kiessling’s work. We wanted to make sure that we gave correct credit. To connect with Kay, you can visit her website (www.kaysimmeth.com) or learn more about her networking group for EMDR therapists in the LA area at the group’s website (www.EMDRconnect.com). Outstanding detailed explanation of EMDR and the benefits of this powerful therapy. It’s amazing to witness what it does to help people become free from past trauma, events, and hurtful experiences! Hi Colleen, It was a great interview. I thought that Kay was really able to break it down and make it easy to understand. Thanks for listening!